Four years after Solo Eyewear crowdfunded a line of bamboo sunglasses with a philanthropic bent, the San Diego–based label has returned to Kickstarter to pre-launch eight new designs, this time made with 20 percent recycled plastic. Featuring names such as “Belize,” “Liberia,” and “Malawi,” the frames are named for one of the countries where Solo has helped fund free eye care for people in need through its “mission to give.” Aptly enough, the plastic remnants Solo uses come straight off the floor of an injection-molding factory that produces eyewear for several major brands. “We worked with our factory to determine how we could recycle this waste and use it in the construction of a new line of eyewear while still maintaining a high level of quality and integrity,” the company wrote on its campaign page. Fitted with triacetate cellulose polarized lenses, the resulting glasses are designed to be lightweight, unyielding, and impact- and heat-resistant (up to 350 degrees Fahrenheit). Solo says it prides itself on producing affordable, eco-friendly sunglasses that can pay for blindness and cataract surgeries for people who can’t afford them. After Jenny Amaraneni, the company’s co-founder, learned that approximately 1 billion people around the world have limited to no access to eye care, she felt—and heeded—a call to action. Today, Solo has helped restore the vision of 11,000 people across 32 countries. The company shows no signs of slowing down and says it hopes to continue to fund eye care and spread its altruistic message through the hashtag #LiveandGive. “We believe everyone should see the world,” Solo said. To preorder a pair of your choice, simply pledge at least $65 on Kickstarter. The price includes a microfiber bag that doubles as a lens cleaner. 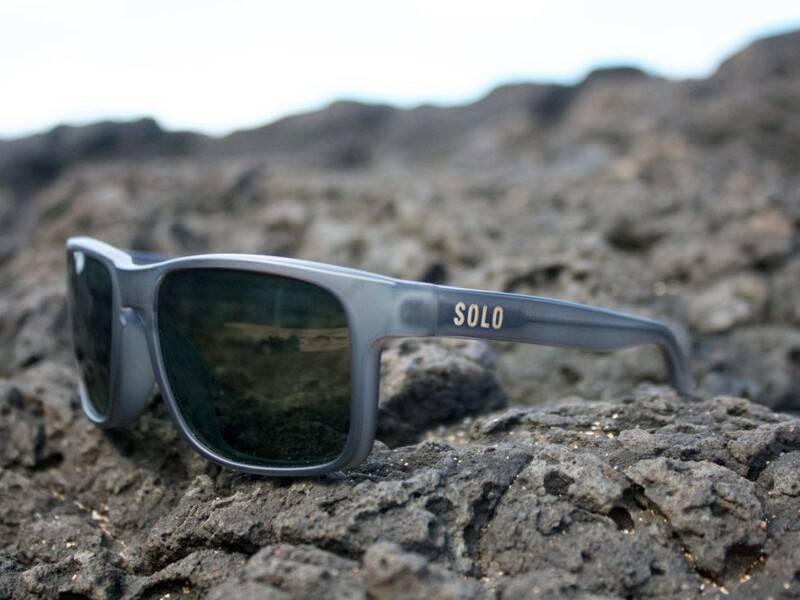 Four years after Solo Eyewear crowdfunded a line of bamboo sunglasses with a philanthropic bent, the San Diego�based label has returned to Kickstarter to pre-launch eight new designs, this time made with 20 percent recycled plastic. Featuring names such as "Belize," "Liberia," and "Malawi," the frames are named for one of the countries where Solo has helped fund free eye care for people in need through its "mission to give." Aptly enough, the plastic remnants Solo uses come straight off the floor of an injection-molding factory that produces eyewear for several major brands.